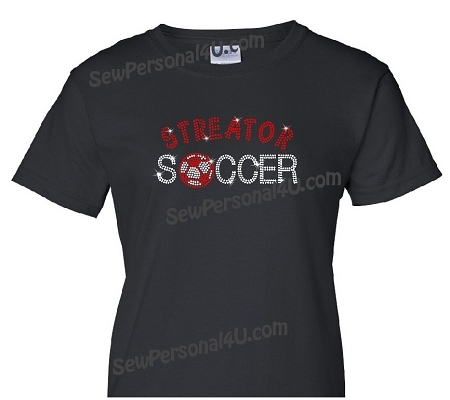 Soccer season is a great time to show off your spirit wear! Our personalized soccer shirt has a soccer ball in place of the O. Add your city name or mascot to make this personalized shirt one of a kind! Shirts are black t-shirts available in unisex (youth or adult), ladies or junior sizes. The junior sizes are cut small and fitted. We recommend ordering up one size for adults, as they are designed for young teens.